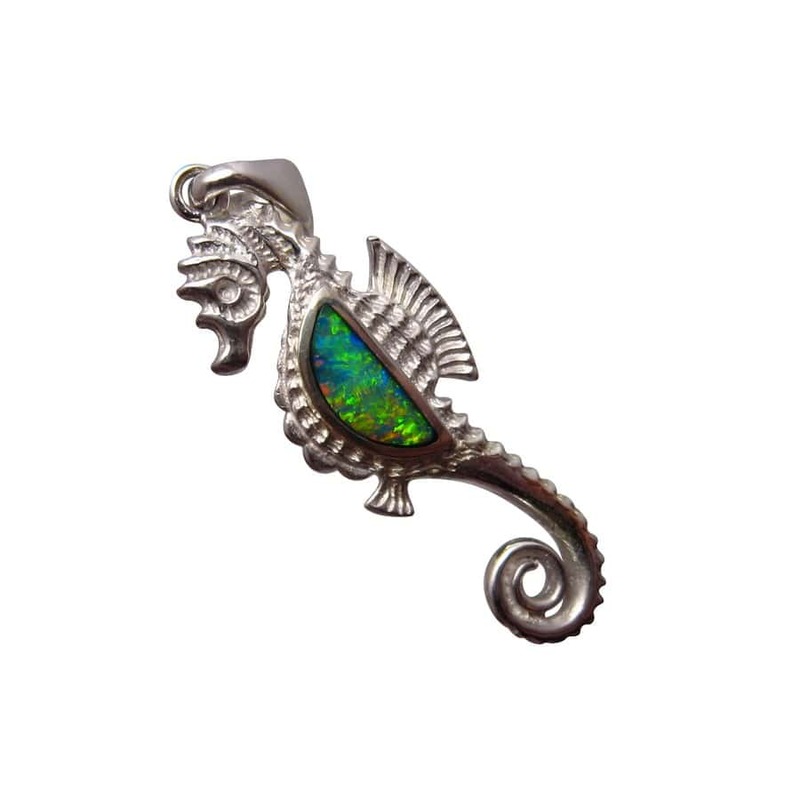 A Silver Opal pendant of a seahorse with a bright Green and Gold Opal inlaid in 925 Sterling Silver. In stock and ready to ship. 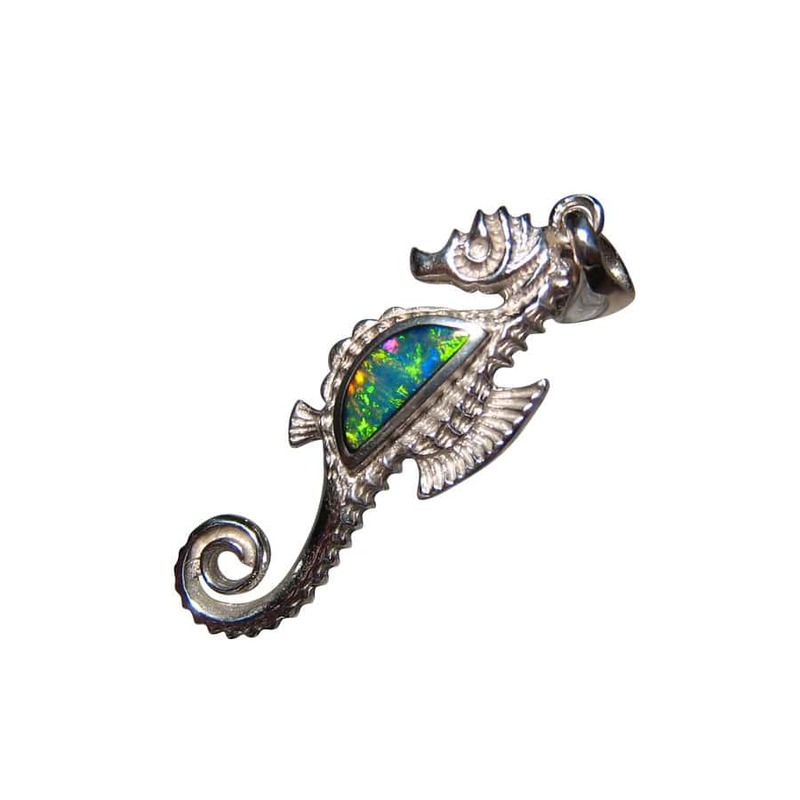 A seahorse Opal pendant in 925 Silver ideal as a gift for your loved one. 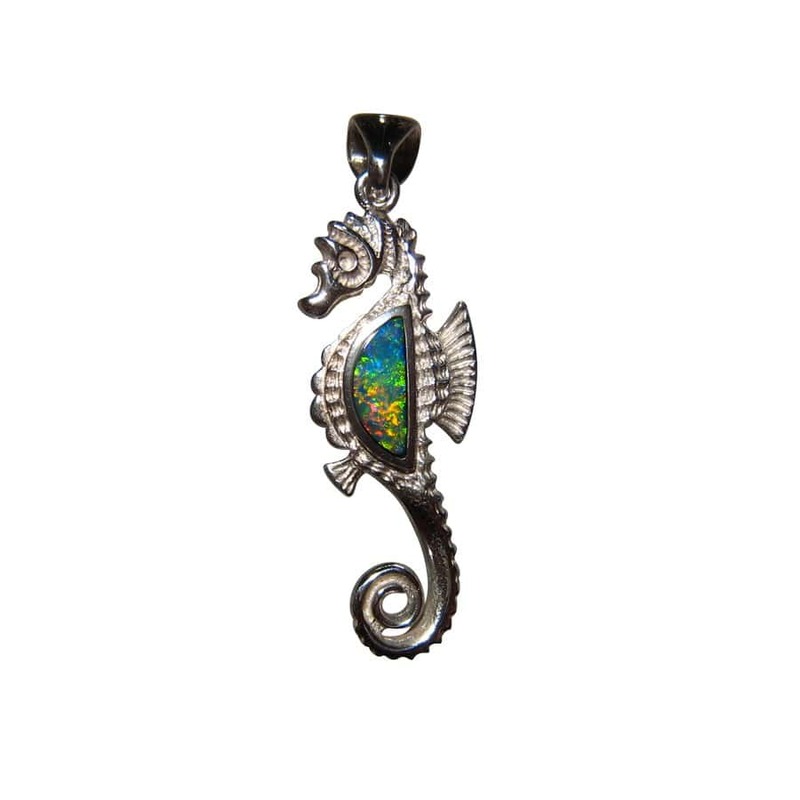 The Sterling Silver seahorse pendant is inlaid with one Black Crystal Opal cut to a half circle that displays very bright Green and Gold and the video below will show the play of color in the Opal as well as the high shine of Silver. 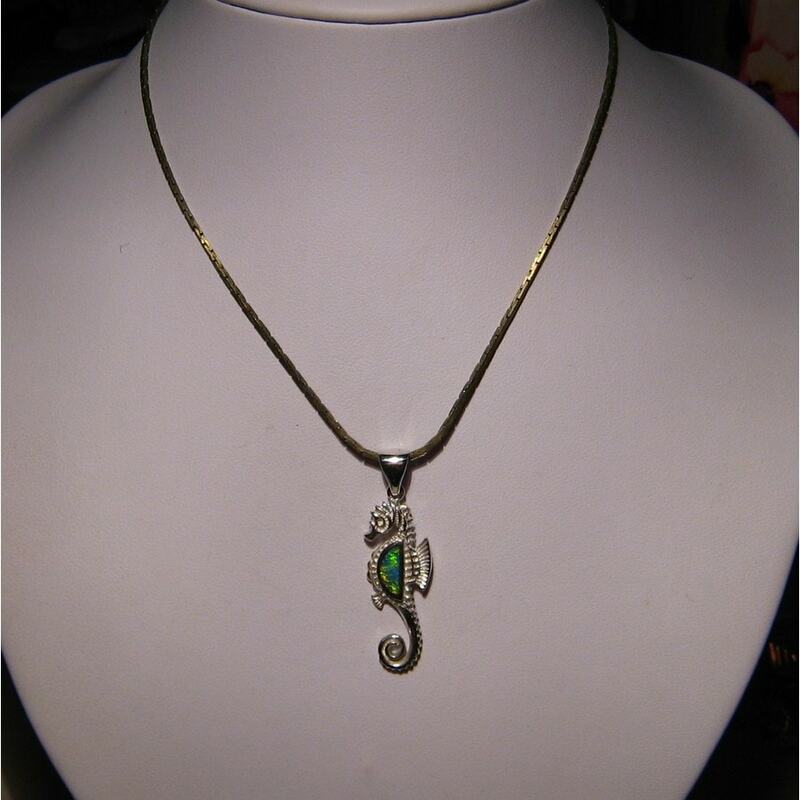 This is a style of pendant that could be worn by men or women either on a Silver chain or black cord. 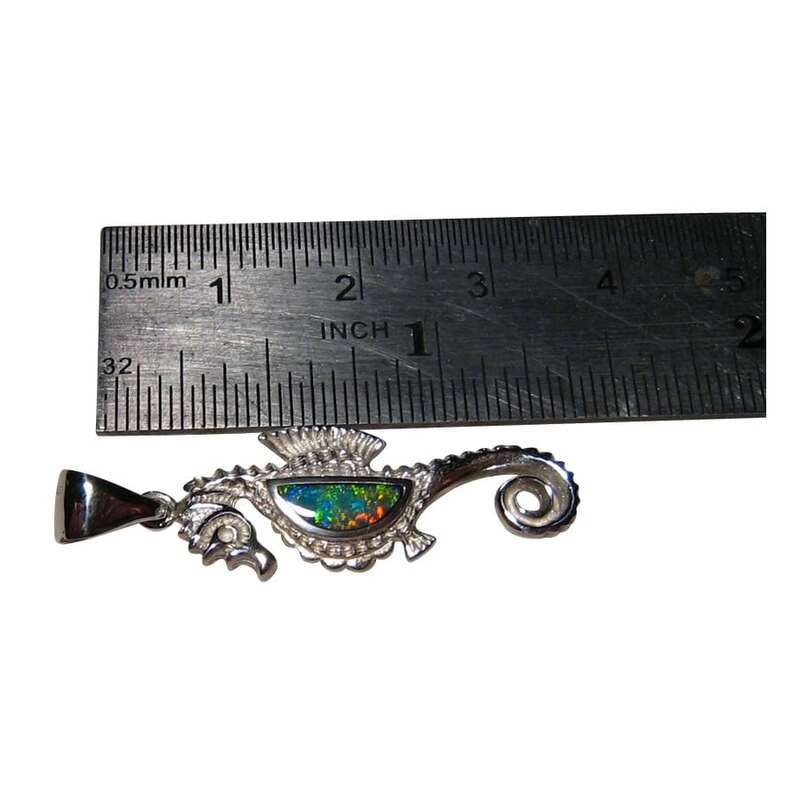 The pendant measures 1.3 inches long including the bale and just over one third inch wide and weighs 2 grams of 925 Silver. It is ready to ship now but does not include a chain.